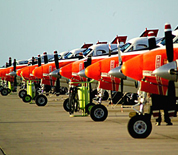 Naval Air Station Corpus Christi is located in Corpus Christi, Texas and serves as a major base for Naval Aviation Training. The major unit on base is Training Air Wing Four which consists of four squadrons - VT-27 and VT-28 flying the T-35C Mentor, VT-31 flying the T-44A Pegasus and VT-35 flying the TC-12B Huron. The base is also the location of the Corpus Christi Army Depot and Coast Guard Air Station Corpus Christi. NAS Corpus Christi sits just a few miles away from the Padre Island National Seashore. Nearby attractions include the Texas State Aquarium and the USS Lexington Museum on the Bay. This NAS Corpus Christi directory features the critical info you’ll need to navigate through the many facilities and recreational opportunities available on base. Public Weigh Scales - CC Weighing Co.